Sundays 11 AM – 5 PM, except we will be closed Easter Sunday, April 21, 2019. We are located west of, and just below the Pike Place Market on Western Avenue in downtown Seattle, ½ block south of the stairway that links the waterfront and the Pike Place Market. Parking: On the street when available or the MarketFront/Pike Place Market garage at 1901 Western Avenue (both $4.00 per hour). Or use DowntownSeattleParking.com for other options. We are located just below the Pike Place Market on Western Avenue in downtown Seattle, ½ block north of the Union Street stairway. 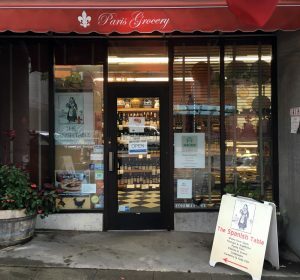 Our weekly newsletter keeps you informed about new food, wine, and gift arrivals, as well as special events at the shop. We also often include a seasonal recipe. Sign up now and bring the flavors of France and Spain to your email inbox! You can unsubscribe at any time, and we promise not to spam.